It’s easy to get lost in the shuffle of papers and software updates. Staying organized with paying bills, whether by snail mail, or automatic online payments, takes concentration and patience. For seniors, organization can prove to be difficult and frustrating. Caregivers can assist in helping you or your loved one stay organized and in the know. They can help with bill sorting and payments. They can provide guidance as you or your loved one renews insurance policies, fills out forms and applications, and much more. It’s not just about paying bills and staying organized; there is a whole new world out there of staying in touch and communicating with friends and family. 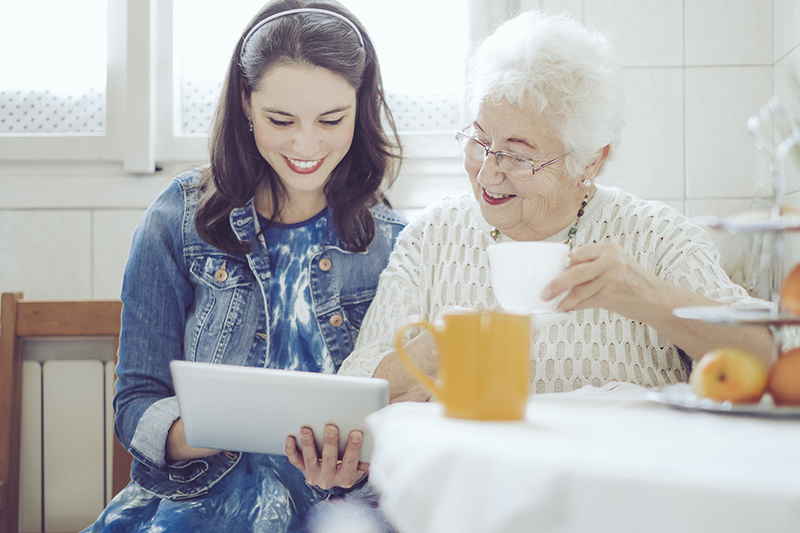 Our caregivers can help you or your loved one with using different social media platforms. They will walk you through sharing photos and videos, or even with using a mobile device or computer. Our core mission is to ensure our clients’ healthy lifestyle and well-being. Call us today at 877-947-2685 and ask how Home Care Powered by AUAF can help with your organization and technology needs.